You’ve seen and read other blogs by now- probably about all types of subjects. Perhaps you’ve admired pieces by other equestrians and realized you too, have something to say. Start thinking about how YOU would do it- because this is all about you. Your voice, and your unique perspective. It’s also about all of us- the horse community. Chances are, if you are reading this, you are part of it in some way. No matter if you are a writer, or a rider. You most likely have thoughts and reflections that can resonate with some part of this community. Our community consists of riders, trainers, managers, business & horse owners, equi-preneurs, grooms, sponsors, barn rats, amateurs, juniors, parents, grandparents, siblings, novices, and every other person you can think of ever seeing at a barn or a horse show. We are all an important part of this. You don’t have to be an equine professional, or an accomplished writer. Your observations have value, your voice has a place here. The term “blog” originally comes from “weblog” (web-log) and it is intended to be causal and conversational. Imagine one of those movies or shows where the protagonist keeps a written or video log of their of their observations- maybe they are stuck in space, or maybe they are at home commenting on their family’s antics. Think of it as a journal that you share with the world. And what is all this talk about SEO? SEO stands for Search Engine Optimization, and it means that your site, or in this case blog, can be found by someone searching on Google. And, more importantly, for the horse people seeking information and connection. You want to appear high enough in search results that people will get to read your work, and by understanding how SEO works, you can make that happen. 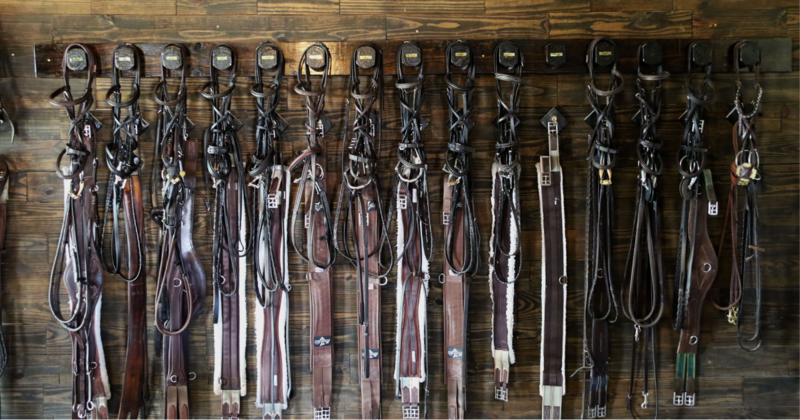 If you need inspiration, each below is an example of an equestrian blog that is thriving in our community. These are all also examples of sites which have great SEO. Why would you share your journal with the world? Communication thoughts, excitement, frustrations, emotions, and you feel like you could talk or write about these with passion. Connection with your community- it can be a way to find other people who are thinking about the same things you are, people who subscribe or comment on your thoughts. You can connect with them, and expand your perspective. Create a network. Creation of a brand and recognition for your farm, business, webpage, or self. Blogging is a legitimate and proven means of promotion. Regularly updating your page and providing quality content will make it MUCH more likely that people will find you. In fact, companies that have a regularly updated blog get 97% more traffic than those who don’t [source]. Maybe you don’t have your own business to promote, but you want to support your farm or team. Or maybe you want to get some deals and sponsorships from vendors because you write in-depth reviews. Contribution. This, for some, is the most compelling reason. It doesn’t matter if others are out there talking about some of the same things. It doesn’t matter if you are talking about something that’s been talked about before- you are contributing from your perspective. You don’t have to do it like anyone else. You can address thoughts, answer questions, and ponder difficulties from your community, based on what you’ve seen, what you’ve been through. And your experience has been maybe similar to others, but no one has seen and done and observed exactly what you have. 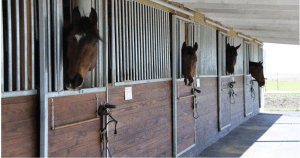 Think about questions and thoughts you’ve heard around the barn. Address them. If someone else finds your thoughts useful, they may even share it with others, and your influence grows. Now we get to the meat of this. First, brainstorm some topics. Sit and start a list of things you care about. Things you end up thinking about for a while. Go through your week and see what comes to mind. Keep a running list. That said, there are no rules here. You can absolutely start with one. But if you are trying to drive traffic, have more content is going to get you more traffic, and be more of a draw for readers. How long do blog posts need to be? The average length of the top-ranking content in Google is 1140-1285 words [source]. With so many blogs, general, cursory information is going to be less valuable than in-depth information. Also, even if readers just skim a longer article, you are more likely to be recognized by Google with a quality, detailed item- and therefore readers are more likely to find you in the first place. How do I write a blog people can find? If your priority is acquiring readers and by extension, influence, there are certain things you can do that improve Search Engine Optimization- or SEO- and that means that Google will be more likely to find you and display your page as a search result. The most ideal (most frequently high ranking in search results) length of heading is about 55 characters [source]. Incorporate some high-quality, relevant images in your post. Blog posts with images get 94% more views than those without [source]. Use headings. Google considers well organized-articles of higher quality, and therefore gives them higher priority. It also makes it easier for google to index and find appropriate article. Beyond that, headings make it easier to read and understand the structure of your article- as well as make it easier for you to write. Publish regularly. If your content is refreshed and expanded at regular intervals, it lends credibility both with Google and readers. Experts say you don’t have to publish daily, but weekly is a great ideal. Also, publishing on a regular schedule- say, every Monday, keeps readers coming back as well as lends to SEO [source]. Include both internal (to your own site/ posts) and external links (to other sites). You could link to the show website where you were just competing, or to an author’s page, another blog, an instruction video to explain a concept you mention, or anything relevant. For many of these sites, you can easily find free tutorials and resources to help you get started. It’s ok, as you are starting out, to have a minimalist site, with basic features, to get the ball rolling. However, you might want some guidance and assistance with your blog, in order to produce a quality product, and to be optimized for SEO. As riders, we understand that when you are a novice or amateur, working with a professional with the experience and subject mastery to guide you makes a world of difference. 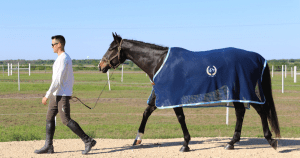 Top Line Media Team is a group of Equine and Web Media Specialists who understand the horse business, and how to make your blog have an impact. Working with professionals with a deep breadth of knowledge in your specific industry is crucial in order to make sure your voice is authentically presented. Right now! A flame of an idea is great, but action in the present moment is what lights the fire. The number of bloggers is expected to reach 31.7 million in 2020- now is the time! Contact Erinn at Top Line Media Team for expert guidance and support to set up your site, maintain it and to make sure you are getting great SEO! Jenn Crow has been a lifelong barn rat, and a hunter/jumper professional for 20 years. She loves teaching, organizing, and new adventures.